Effortless protection. Luxury in the palm of your hand. Prepare to face the summer sun with this high-performance sun cushion. Lightweight, undetectable sunscreen shields against damaging UV rays and heat-aging while delivering intense hydration for healthy, glowing skin. Bamboo sap, rich in minerals and amino acids, hydrates for long-lasting supplenessA specially designed anti-microbial puff enables hygienic use. I really love all the AmorePacific products that I've tried. I like the look of this compact. It's very pretty. Easy to carry. I can reapply sunscreen as needed during the day which is a must in the summer. Will definitely buy again! I rcvd a box without applicator and it was unsealed . I was shipped a tester. I Will have to return and hopefully get a legitimate product. A very hydrating and lightweight sunscreen that offers supreme protection. I highly recommend it for going on holiday. I take this with me on vacation to the Caribbean. It feels cooling on the skin and protects well. It's very lightweight. 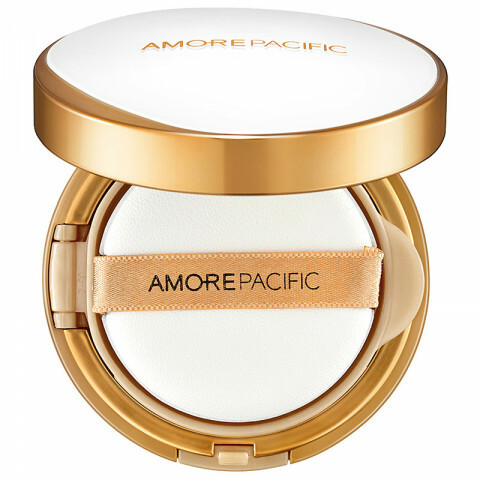 Use this when i use the bb cushion foundation from amore too. So in love !! What a great concept! However, this does well either as a standalone product without any makeup or before primer with makeup application. This compact makes it TSA friendly as well!